Liberia’s legal battle against private sector debts, its consequences and the need for reform. 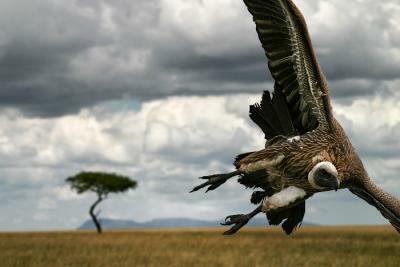 ‘Vulture’ funds buy up defaulted national debt for less than the stated value. By claiming that debt through courts, profit is all but guaranteed: the only barrier is an ethical one. The debt is invariably owed by the world’s poorest governments, so the cost is not merely financial but directly humanitarian. Liberia’s recent experiences with these funds set an alarming precedent that requires consideration. This was no exaggeration. Struggling to rebuild following a 14 year civil war that ended in 2003, Liberia is ranked by the IMF as the third poorest country in the world, and at the time of the judgment 80% of the population was surviving on less than $1 a day. The $20m that the funds claimed was twice as much as the 2009 healthcare budget, so the humanitarian costs of enforcing such an old loan were direct. This had not deterred Straus and Hermann, whose disagreeable desire for easy profit was also demonstrated in February 2002. A lawsuit for $18m was filed in New York in the week Liberia’s capital Monrovia was under siege from rebels, without electricity, water or a functioning government. Unsurprisingly, Liberia failed to appear in court and lost by default. Thankfully the affair reached a slightly more positive resolution. In November 2010, a year after the judgment against them, the Liberian finance minister Augustine Ngafuan announced that, following a ‘David and Goliath’ fight, a deal had been reached with the firms, and that a reduced proportion of the debt would be repaid. This almost certainly still represents a considerable profit for Hermann and Straus. Especially considering legal fees, this profit has only been to the detriment of the Liberian population. Distressingly, Liberia’s experience with the ‘vultures’ is far from an isolated incident, and, given the continued existence of vast sums of undeclared African debt, it may set an alarming precedent for future action. Many financiers have chosen to handle government debt in a more ethical way, either by striking it off or demanding very low rates of repayment for a small proportion of what is owed. In 2007, $4 billion of Liberia’s debt was waived through the ‘Heavily Indebted Poor Countries Initiative’, including $2 billion from private-sector bondholders. One of those bondholders, Hans Humes, CEO of Greylock Capital, said of Hamash and Wall Capital, who declined to participate in the debt relief scheme, ‘All they’re trying to do is to exploit the system, hold the system hostage, to get some sort of excessive returns’. A concerted international effort must be made to eliminate the potential for similar cases in the future. The British Parliament has gone some way towards combating this problem. Andrew Gwynne, the Labour MP for Denton and Reddish, proposed what became the Debt Relief (Developing Countries) Act (2010) through an early day motion. Despite vociferous objection by a small group of Conservative MPs led by Christopher Chope, the Bill was successfully passed. The Act bans ‘vulture’ funds from litigating in the UK courts, eliminating the prospect of a repeat of the Liberia case in Britain. However, the jurisdiction from which the claim arises makes scant difference to the victim governments. A full resolution to the problem will require concerted international action, particularly from the USA, as most of the existing third-world private debt is believed to be held by banks based in America. There has been an attempt at regulation by the courts, but without success. In 1998, a US judge attempted to punish Michael Straus by invoking the medieval law of ‘champerty’ – encouraging a lawsuit for personal gain. The approach, however, was overturned on appeal. The clearest way for the USA to tackle the issue would be through legislation. It is time for Congress to defy their traditional hostility towards regulation and take a harsher stance against the funds. A Bill similar to the UK’s Debt Relief Act would make further action by vulture funds impossible in the two most commonly used jurisdictions, allaying the fears of economically deprived nations that previously unknown debts could be arbitrarily enforced against them.